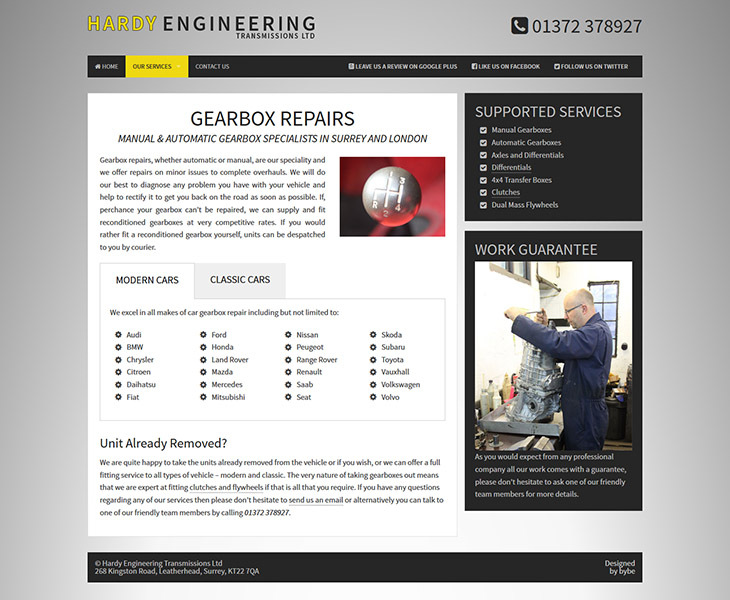 THardy Engineering offers gearbox repairs on modern and vintage cars. 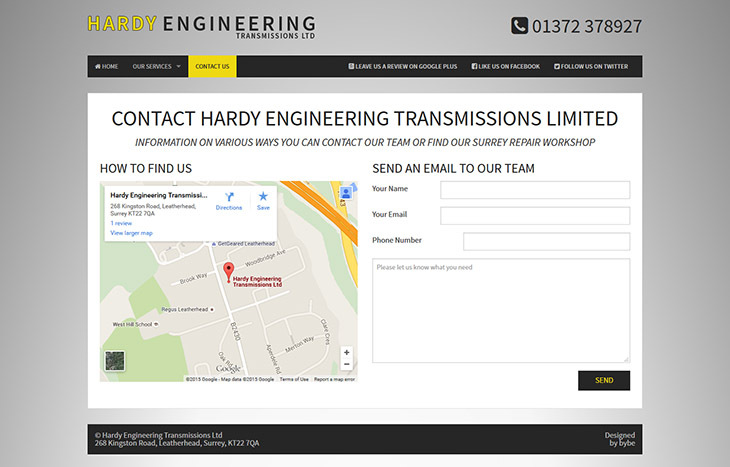 They are based in Surrey and serve the entire Surrey and London region of the UK. 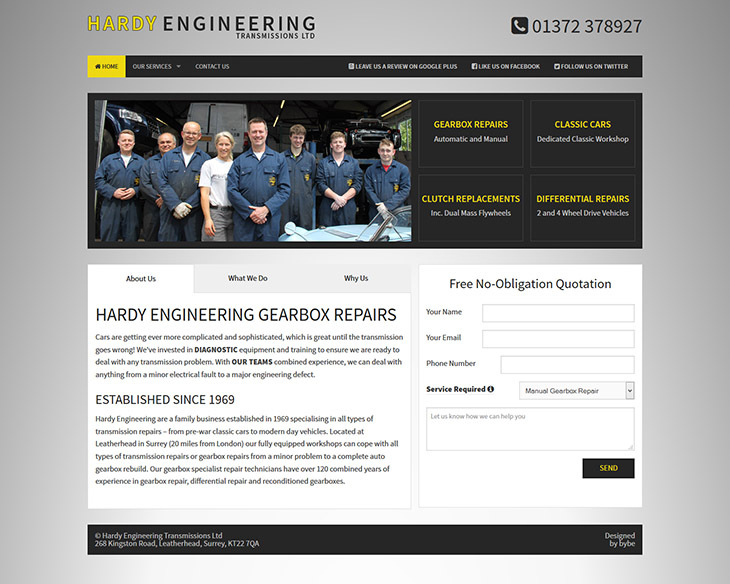 They have been established since 1969 and are among the few gearbox repairs companies with a superb track record in providing an exceptional service on both manual and automatic transmissions. We have been working a long side Hardy Engineering for several years after being highly recommended by Jez Day at Rustic Stone. We continue to this day to provide professional low-cost design services, local seo services and ongoing website maintenance. 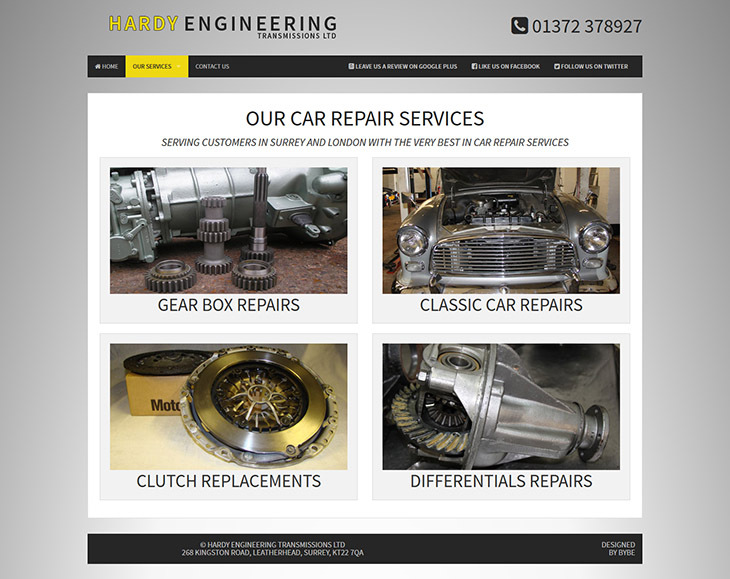 Their previous website was a yukky static HTML4 site that was dull, dated and didn’t convert visitors into customers. We built their website from the ground up with new content, new design and powered by WordPress allowing us and them to add content on a weekly to monthly basis with ease. The new website looks great, and works great on all mobile devices. Since redesigning their website we have provided many after-care services from security maintenance to helping their search rankings with our local SEO services.